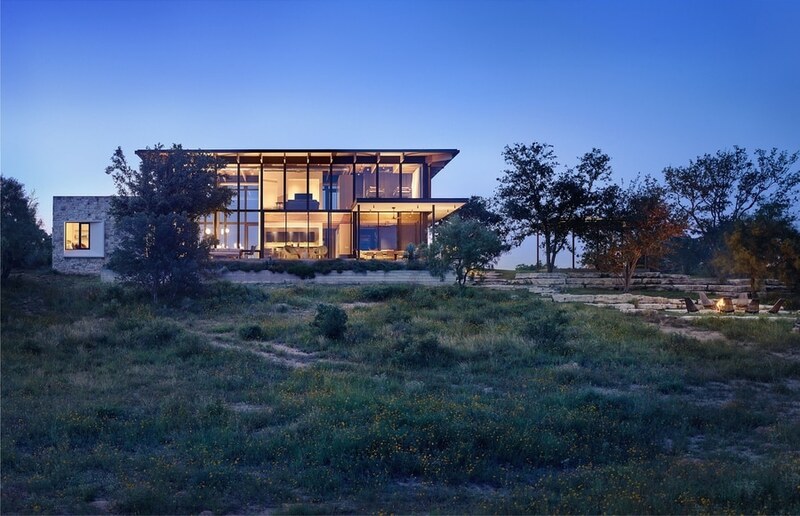 Michael Hsu Office Of Architecture have designed a new house in Mason, Texas, that’s located on and inspired by an old family campsite. 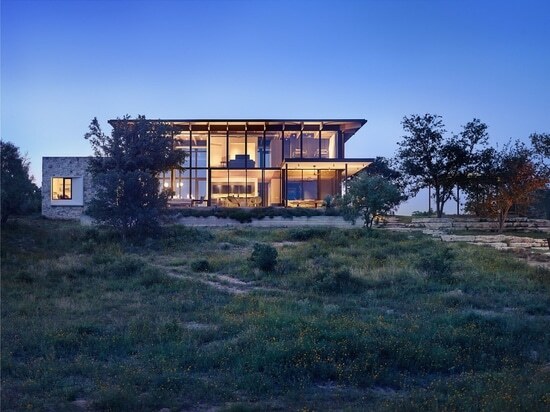 Situated on a remote stretch of the Llano River, the family chose a site for their home at the top of a hill overlooking the river, that’s only accessible through a low water crossing. 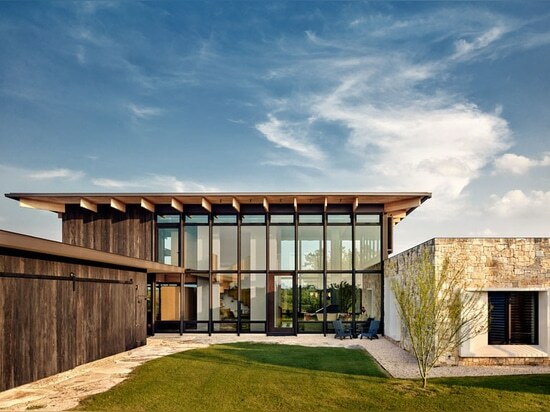 Building materials were carefully chosen to complement the landscape. 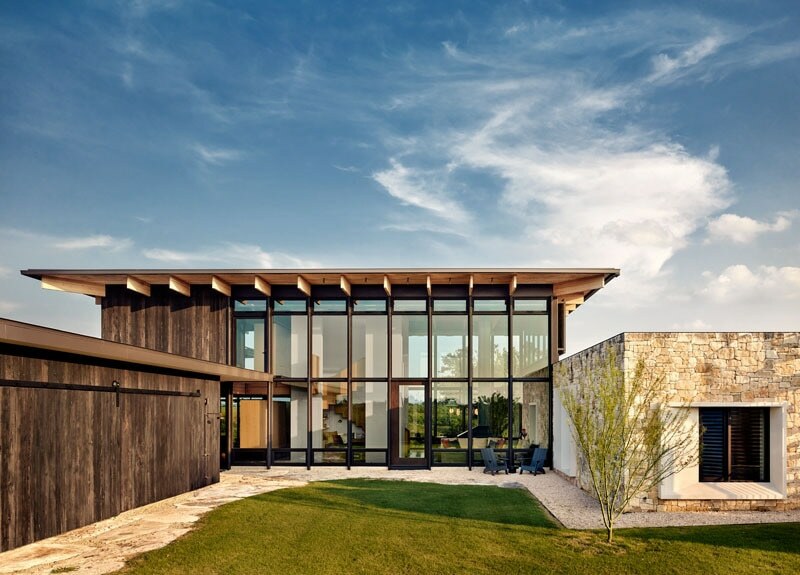 Locally sourced limestone combined with warm douglas fir structural wood and rich shou sugi ban siding, forms a rustic, yet refined palette that transitions from inside to out. 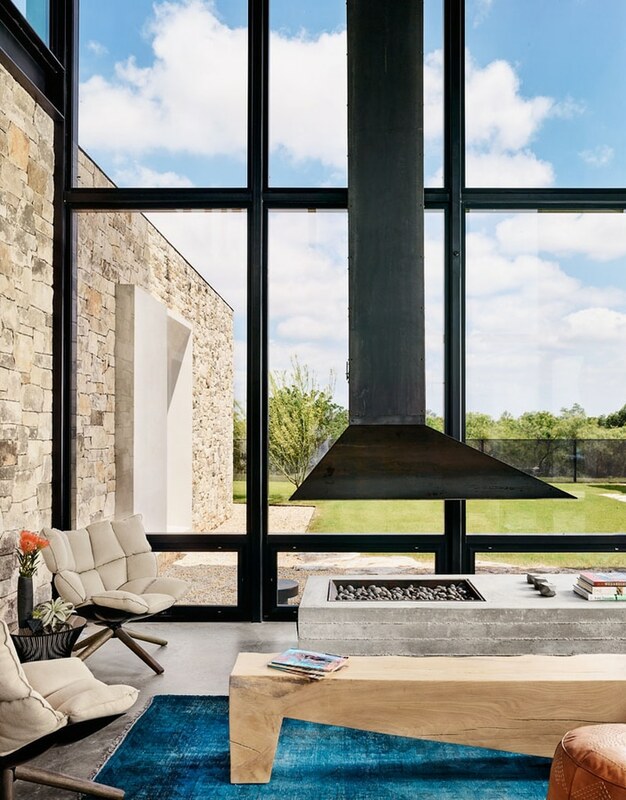 The home is centered around a relaxed living room, flanked by expansive windows that provide unobstructed views to the landscape and open to the outdoor entertaining areas. 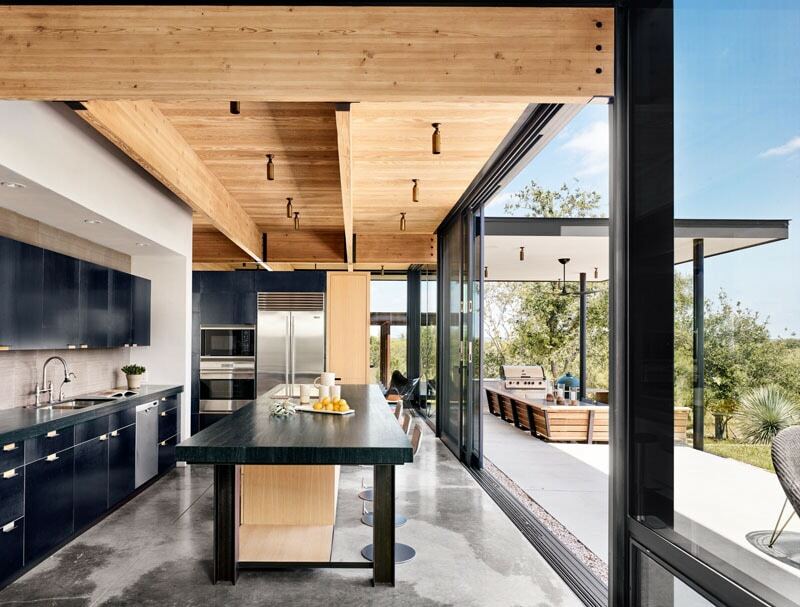 The selection of the furniture throughout the interior reinforces the family’s desire to create a comfortable environment and a connection to the landscape. Large sliding glass doors open the kitchen to the patio, where there’s a bbq and covered lounge area. The raw strength of steel is expressed in the design of the stair, that’s completely self-supporting and the focal center of the home. 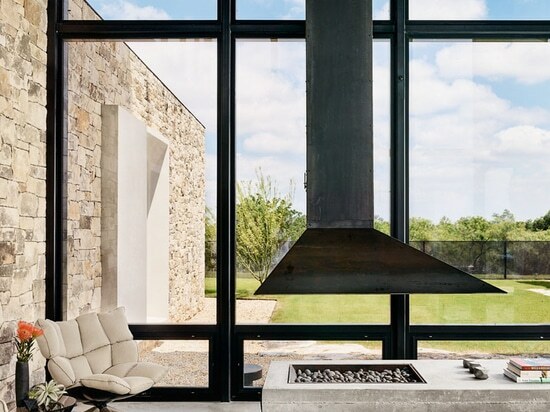 Balanced by warm woods, white walls and concrete floors, steel appears throughout also in the custom fireplace and even in the kitchen cabinetry detailing.